BARCELONA, Mobile World Congress, February 27, 2018 — Working Group Two (WG2) was announced in October as an offspring from Telenor Group, which set out to radically enhance the innovation capacity of the mobile industry. The platform forms a software layer on top of the existing core telco system, which enables speedy service innovation directly in the network by making mobile telephony programmable. 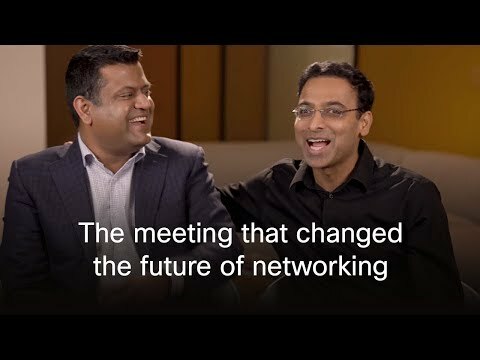 "WorkingGroupTwo is a Telenor innovation that we're proud to continue evolving in collaboration with Cisco. WG2 could revolutionize the competitive landscape with its powerful platform characteristics, flexibility and speed. It enables fast and seamless roll-out of services across markets and networks. This could further accelerate the digitalization of core telco businesses – and the entire industry," said Sigve Brekke, President & CEO of Telenor Group. Five months after launch, WG2 is ready for its first commercial customer, Vimla, an MVNO owned by Telenor Sweden. "The WG2 platform makes it simple to work across different radio networks in much the same way that smartphone operating systems make different mobile phones behave similarly. For the telco industry this is groundbreaking. Not only does it pave the way for flexibility in the way we can scale digital services or enter new markets, but it means we can introduce products never seen before. By pioneering WG2, we believe Vimla has a competitive advantage in the number of exciting functions that we can make available to their customers as unique differentiators in the market," said Erlend Prestgard, CEO of Working Group Two. "Vimla is a next generation mobile brand with a loyal and progressive customer base focused on great user experiences. Our NPS score is above 60 but our research shows there's a lot that can be done with the core user experience. We have a strong ambition to differentiate ourselves through product innovation and are really excited about moving our stack to the WG2 platform," said Johan Littorin, CEO of Vimla. At this week's GSMA Mobile World Congress in Barcelona, WG2 will be hosted by Cisco on their stand in Hall 3, #3E30, to demo the first product integrations between the core network platform and Cisco products. "There is incredible innovation in WG2 thanks to their cloud-based, programmable telco software platform," said JL Valente, vice president and general manager, service provider solutions, Cloud Platform and Solutions Group, Cisco. "Any existing or new business aspiring to become a mobile virtual network operator now has the opportunity to ramp up quickly and more cost-effectively, while delivering true innovation with differentiation." WG2 has tested integrations with Cisco Spark, the technology leader's flagship collaboration platform, to show how a regular mobile voice call can be elevated to a Spark video call in real time. WG2 has also shown how Cisco's Umbrella suite of security products can help secure Internet connections from a mobile device without requiring the end-user to take any special actions. WebRTC is an integrated part of the WG2 platform and mobile core network. As any WebRTC enabled end-point can be used as a device, a browser can be used as a phone and a caller can seamlessly switch between a web browser and mobile phone, as well as between GSM and VoIP protocols. To showcase the potential that lies in voice-as-an-interface, WG2 has also trialed a real-time speech-to-text capability. An API directs voice conversations to a speech-to-text engine that immediately returns a transcript.